For some reason it has taken me 12 and a half million years to get this post up - but my very first Beauty Box 5 un-boxing review is finally here !! I was lucky enough to be sent this box complementary in return for my honest review. For the most part I am pretty impressed with the box - as you will see in the video. A few of the items such as the City lip plumper which burned my lips for days and the Lash Card which I recieved in a previous ipsy box - but I mean how would they know that right ? I wasn't to thrilled about. However, I love the shimmer black eye shadow by Brazen and the sharpener cap black eyeliner. Watch the video and let me know what you liked best about this box and if you are interested in receiving 4-5 monthly beauty samples a month be sure to subscribe today to reserve your spot !! 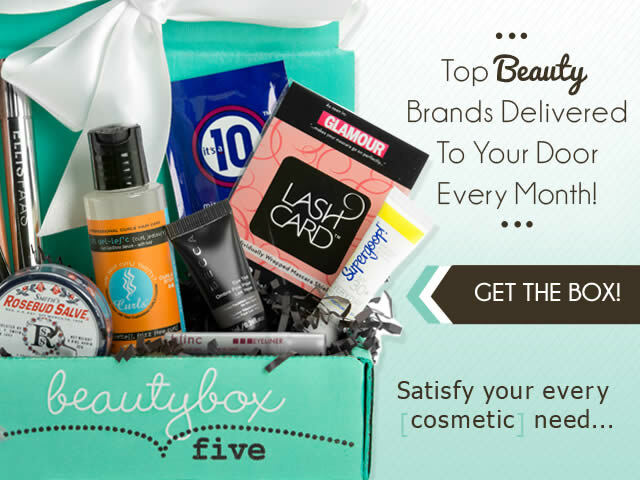 Sign up for Beauty Box 5!